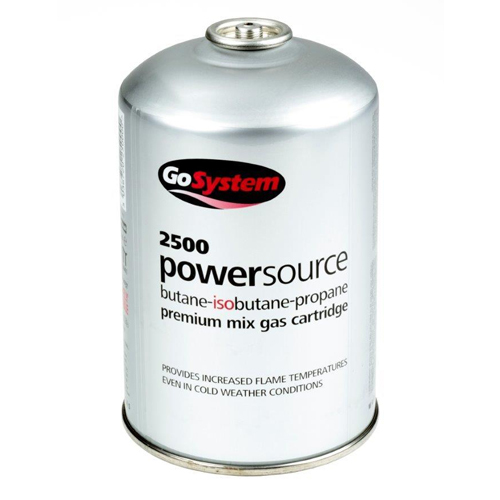 Go System 445g Butane/Propane Gas Cartridge. 445g Threaded Cartridge, This burns much more efficiently than a standard butane or propane blend, providing you with more heat or prolonged use over alternative brands. Boasting a Butane, Iso-Butane and propane mix this provides an increased flame temperature in all conditions, even the freezing cold.